Add sparkle, texture and another dimension to your quilts, wearables and accessories with Beads! I'll be teaching a beginning Beading on Quilts and Wearables class this Saturday, August 20 at Chattanooga Sewing, 899-3664. Beading and free-motion threadwork on silk dupioni. 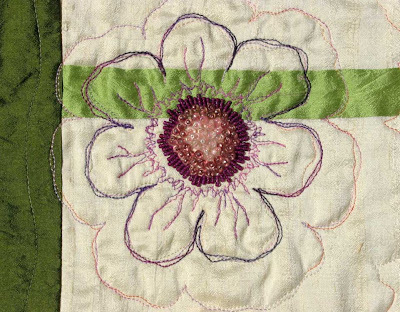 Many of the techiques I'll demonstrate in class are from my project that was published in "Creative Quilting with Beads " by Lark Books. 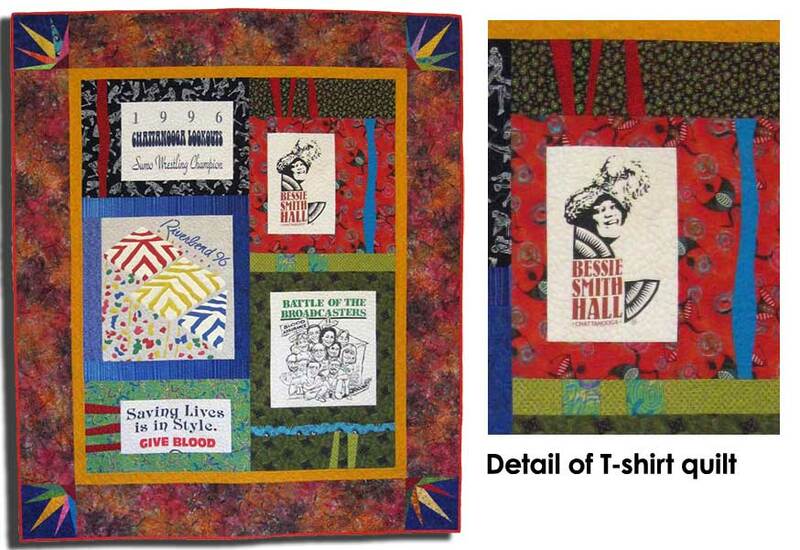 T-shirt Treasures and Paper Piecing classes are scheduled for next week. Learn how to recycle your treasured T-shirts by making them into a quilt in this 2-session class that meets Mondays, August 22 and August 29. 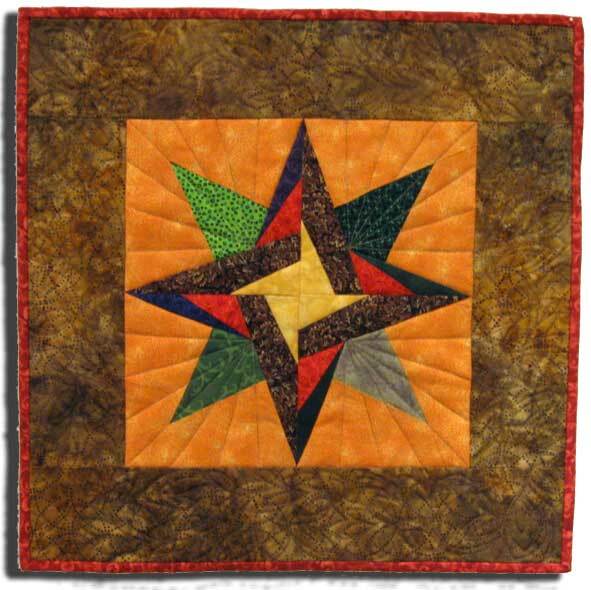 Piece by Numbers (below) is the Paper Piecing class that wil meet on Wednesday, August 24. Make this table topper to adorn your table for the upcoming holidays. In class, we'll discuss how you can make it heat resistant for serving those hot covered dishes at holiday mealtime. 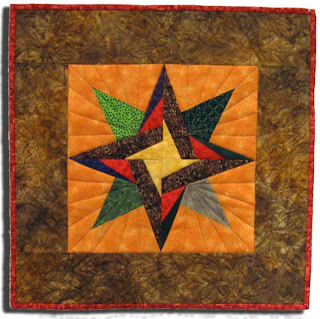 Quilts make great gifts for birthdays, holidays, graduations or to change your decor from one season to the next. Hey if anyone wants to learn some super techniques Veronica is the way to go. And for the record "I lover paper piecing, beading and embelishments". I am so glad she is taking her talents and time to do classes - So go sign up!